Having a boiler in good working order is imperative before the cold fall and winters in the Littleton area are upon us. Efficient Plumbing Services understands that staying warm in the frigid winters of Colorado is important for homes and businesses, so we have made sure we are the best plumber to call when you need your boiler serviced. We are highly experienced in the installation, repair and maintenance of all different types of boilers for whatever your home or business needs and can make you warm and cozy again before you know it! The plumbers at Efficient Plumbing Services have expanded their knowledge base to more than just plumbing, while still remaining plumbing experts. 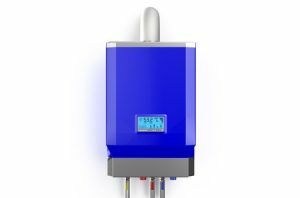 That our expertise also includes boilers comes as a surprise to many of our customers, but have no worries. We have equipped ourselves and have the experience to repair your boiler just as well as your toilet! We find that our customers prefer having one technician they can call on for most of their home repair needs and our friendly and valued plumbing technicians are a welcome face to our customers in a time of distress. • Inadequate heat or a lack of heat altogether. • Loud, banging or humming noises that are coming from the boiler. • Any type of leaking coming out of the boiler. • Inconsistent or changing heat temperatures. If you are experiencing any of these problems or others that have you concerned, don’t hesitate to call us right away. We will quickly assess the problem and give you an estimate so that we can work on getting your boiler fixed right away. In addition to boiler installation and repair, we also offers the service of maintenance inspections for your boiler. When your boiler is properly maintained and examined before a problem arises, you can save stress and money. When your home or business is in need of a boiler installation, repair or maintenance, don’t wait to call Efficient Plumbing Services of Littleton. Along with our years of service and knowledge, we also have a commitment to providing our customers with the best in customer service, each and every time. For the best in quality work and service, call us today! He was quick, courteous and professional. Fast, efficient and reliable service! Will use him again in the future, no doubt. And will be recommending to friends and family. Thank you for helping us!